raise funds for the HSLB and its LGBT History Project. Regrettably there is no elevator. Currently we have performance-only tickets available for $25 each. 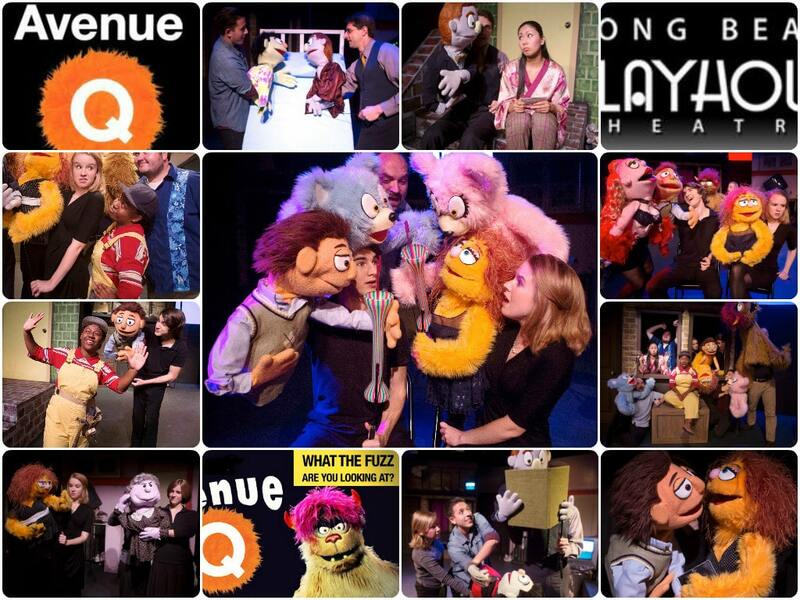 Winner of the Tony “Triple Crown” for Best Musical, Best Score and Best Book, Avenue Q is part flesh, part felt, and all heart. A laugh-out-loud musical that tells the timeless story of a recent college grad who moves into a shabby apartment all the way out on Avenue Q; a place where puppets are friends, Monsters are good and life lessons are learned. He discovers that it’s clear that this is not your ordinary neighborhood. Together, Princeton and his new friends struggle to find jobs, dates, and their ever-elusive purpose in life.